During the autumn months of October, November and December, leaves fall from our trees. These leaves are blown around and settle on lawns. Over the weeks if these leaves are left on the lawn then they can shade out the grass underneath, causing it to die. The Lawn Man is able to visit in these late season months and clear the leaves from your lawn. The leaves can either be blown into the borders and left to rot into the soil, collected up and stored to make leaf mould, or taken away. It can also be part of your regular treatment package in Treatment 5. A much tidier garden and lawn for the winter. Reduce the risk of damage to the lawn from shading out by fallen leaves. Leaves are a valuable garden material for other uses. Clearing the leaves yourself can be a pleasant way to spend a weekend in the garden. 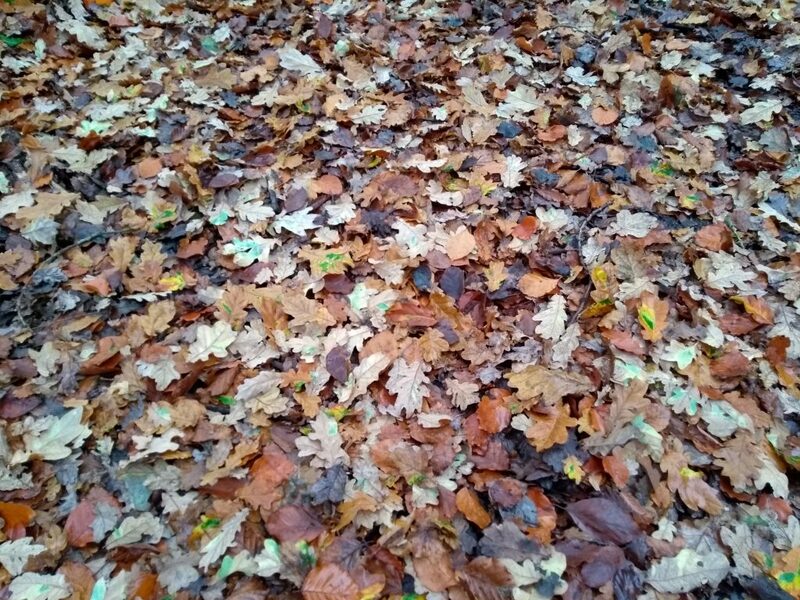 Leaf clearing should be done when the leaves have all fallen from the trees, which is usually late autumn through to early winter. Leaf clearing is much easier on a calm, dry day. Ideally the leaves are all down from the trees and have dried out on the lawn. There is no preparation needed before leaf clearing, apart from keeping the area clear of heavy garden furniture. It can be applied alongside the regular treatments. It is often needed before early season winter treatments. This is entirely dependant on the size of the lawn and amount of leaves needed to be cleared. 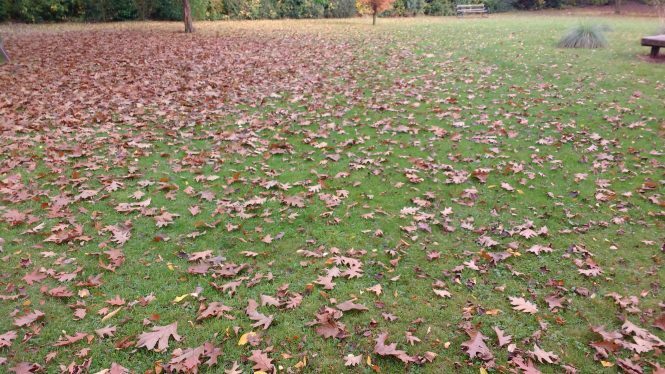 The leaves which are cleared from the lawn can either be blown into the borders, bagged and left or taken away for disposal. There may be an extra charge for disposal if there are a lot of leaves to get rid of. None. Your lawns will look much better! Treating your lawn to guard against an attack of snow mould is a great idea at this time of year. Damp conditions under leaves can be a haven for fungal diseases. A moss control treatment is also a good treatment to put down after clearing leaves, as all areas of the lawn can be easily accessed. What should you do with the leaves on your lawn? A covering of leaves shading out grass.